The usage of ultraviolet lighting in ponds has been the subject of debate. Unlike LED or holiday lighting, they can be used for more than just decorative purposes. Some feel that they are the sole filtration system that is needed, while others feel they should only be used as one of several filtration components. Below are some facts regarding UV lighting which will clear up any misconceptions or confusion regarding them. To understand the purpose of UV lighting or sterilizers, it is first necessary to understand filtration. The pond industry relies on filtration a great deal for their success and expansion. 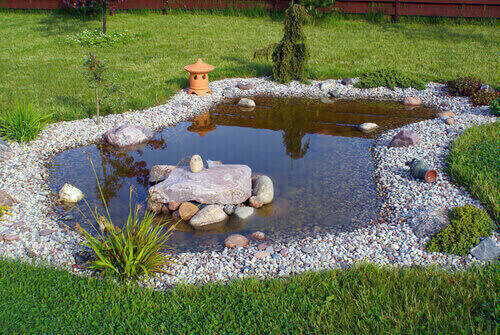 After all, if backyard ponds don’t have a method for efficiently filtering water, why would anyone want to install them? As such the pond industry has come up with a number of innovative ways to filter pond water, incorporating technologies from the medical and water purification industry. One such technology is ultraviolet lights. UV sterilization is used extensively both for purifying drinking water and for medical purposes. Those which are designed for ponds however may claim being capable of controlling both algae and the spread of disease, which may be possible, but not when the UV sterilizer is used by itself. Instead, the UV lighting system must be used in conjunction with other systems, because while it is highly effective in preventing green water, it is less efficient in dealing with hair algae, pond scum or slime. It is true that UV lighting systems can be used to control parasites and bacteria which is free floating. However, for maximum efficiency, UV sterilizers have to be calibrated in a specific manner which allows for a certain flow rate (which is measured in gallons for each hour). This will allow enough water to move within the light chamber so that certain bacteria are eradicated. Some types of bacteria require specific flow rates to be destroyed, such as 500 gallons within a single hour going inside the chamber, whereas other bacteria types will require flow rates which are completely different. In other words, the flow rate which kills one group of bacteria may be completely ineffective against another. The reason for this is because the rate of flow determines exposure time. Algae that grows on liners or the surfaces of rocks will be largely unaffected by UV lighting; it has to be floating and enter the light chamber in order for it to be destroyed. The problem however is that once the algae is terminated its remains will enter the pond, decay, and produce more nutrients which will then produce more algae. It is for this reason that UV lighting should never be seen as a one stop solution for pond filtration. Before investing in such a system, the first thing you should do is review your existing pond filtration, and if it’s inadequate, remember that UV lighting should only be used as one of multiple filtration components.